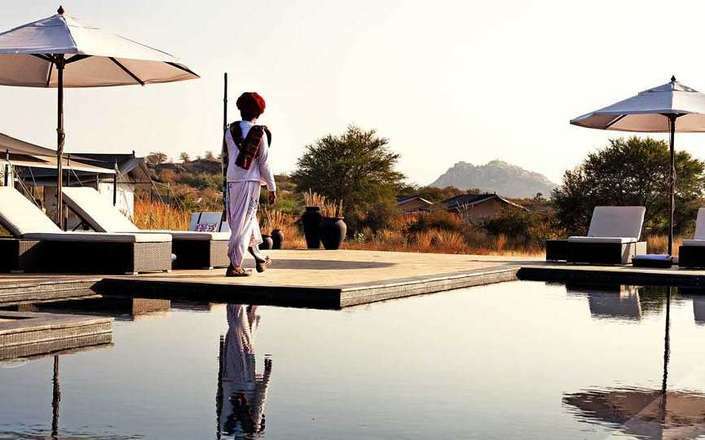 Jawai Leopard Camp is located in a stunning wilderness area half-way between Jodhpur and Udaipur and just minutes’ away from Jawai Bandh, one of the largest reservoirs in the region, and an important habitat of Panthera pardus fusca – the Indian leopard. 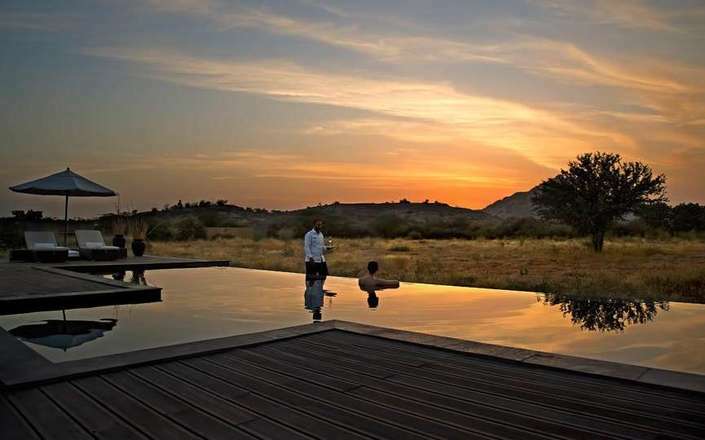 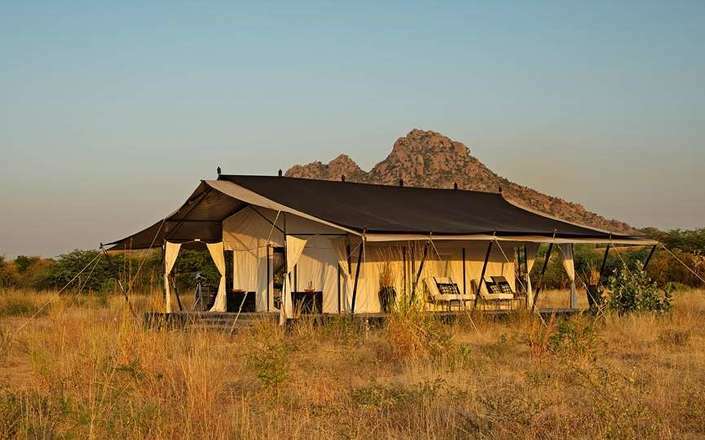 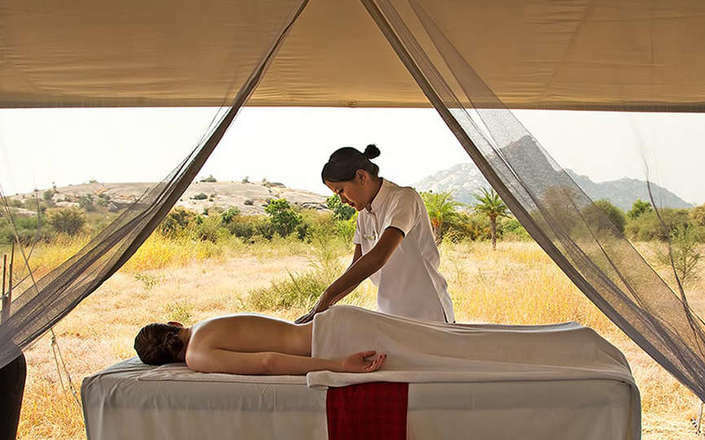 Surrounded by rocky outcrops and scrubland, the luxurious Jawai Leopard Camp has a chic, understated 1930’s elegance and offers an opportunity to relax in-style away from the crowds and experience the delights of rural Rajasthan while enjoying impeccable Relais & Chateaux standards. 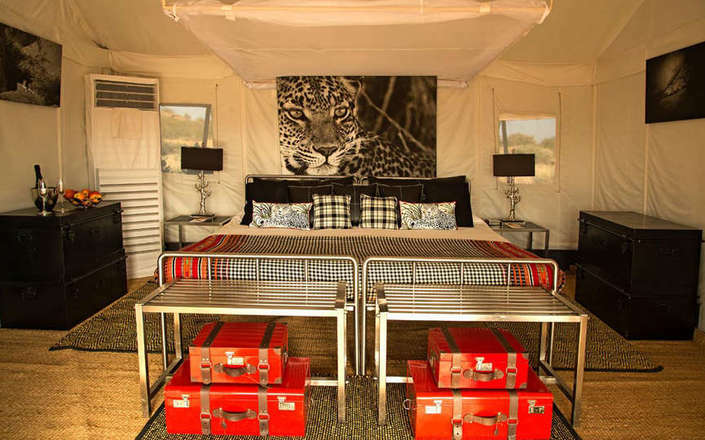 Accommodation is in 8 spacious tents that are stylishly decorated using artefacts designed by renowned artisan Michael Aram and complete with a private sit-out and bathrooms (shower only) with powerful hot showers. 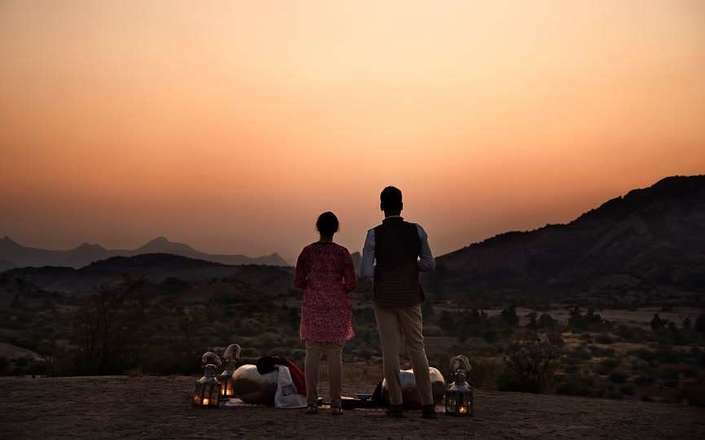 Dining is an experience in itself and guests have the choice of joining other resident guests at the stylish dining tent or opt for a private romantic dinner under the stars. 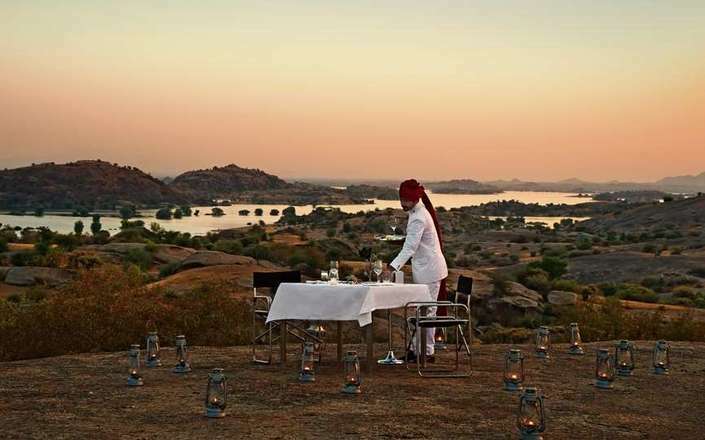 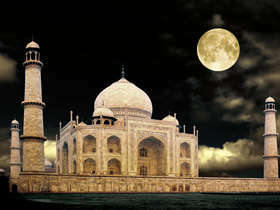 Guests also have the luxury of choosing to eat at a time of their liking. 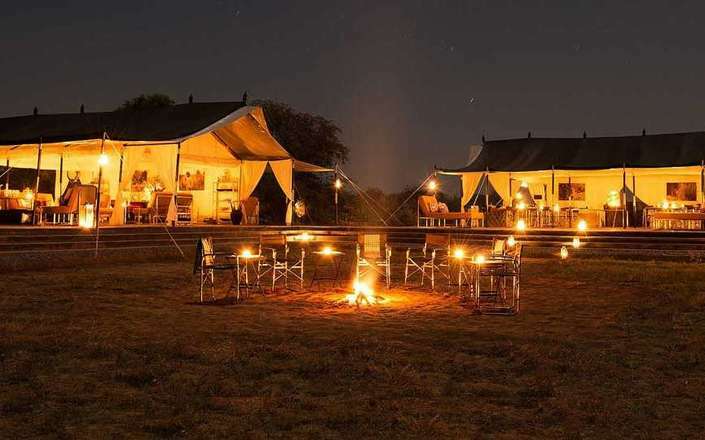 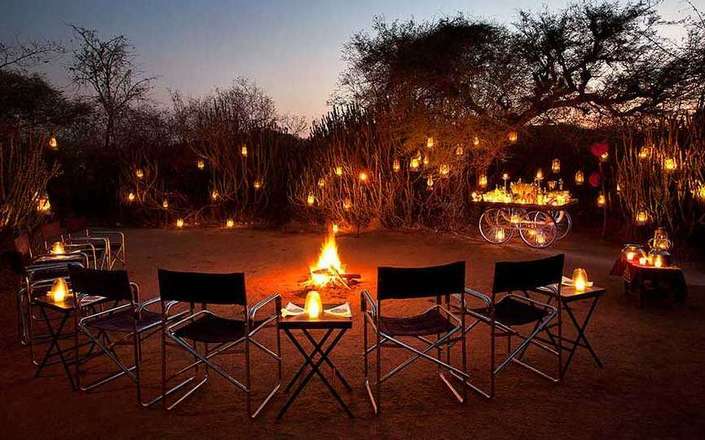 In addition, Jawai Leopard Camp arranges nightly campfire for guests. 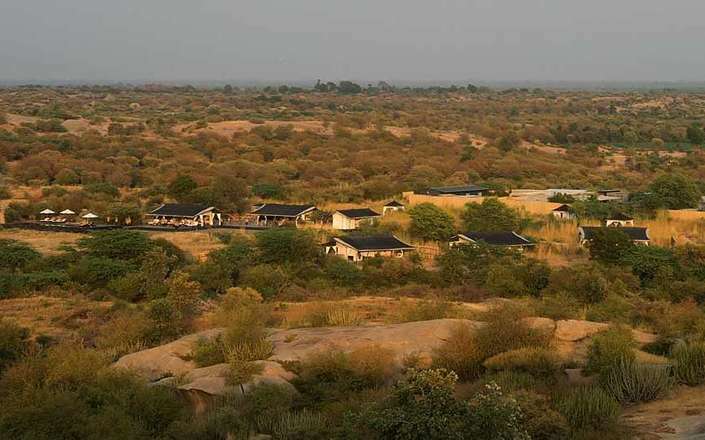 While leopards remain the main attraction, the felines can be elusive and longer stays are recommended to improve the odds of sightings. 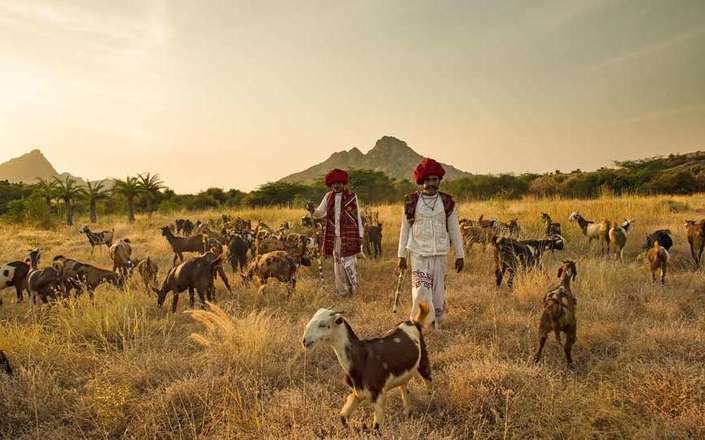 With experienced trackers acting as guides, wildlife safaris also reveal the co-existence of wolves, sloth bears and antelopes with the colourful nomadic Rabari tribesmen. 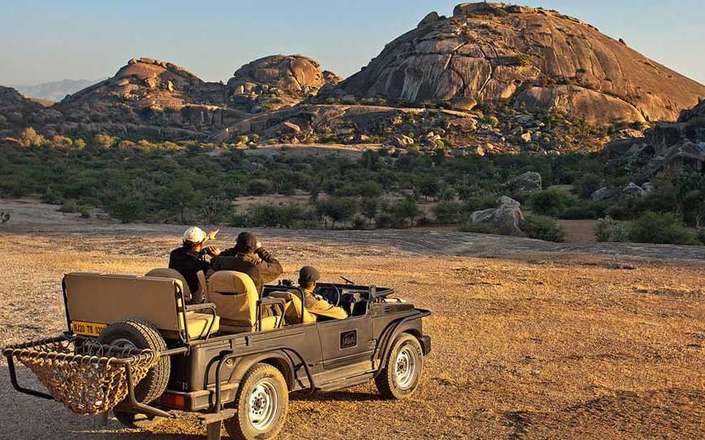 Off-road cycling excursions through the surrounding dramatic landscape of granite rocks and sandy riverbeds are another attraction offered by Jawai Leopard Camp.